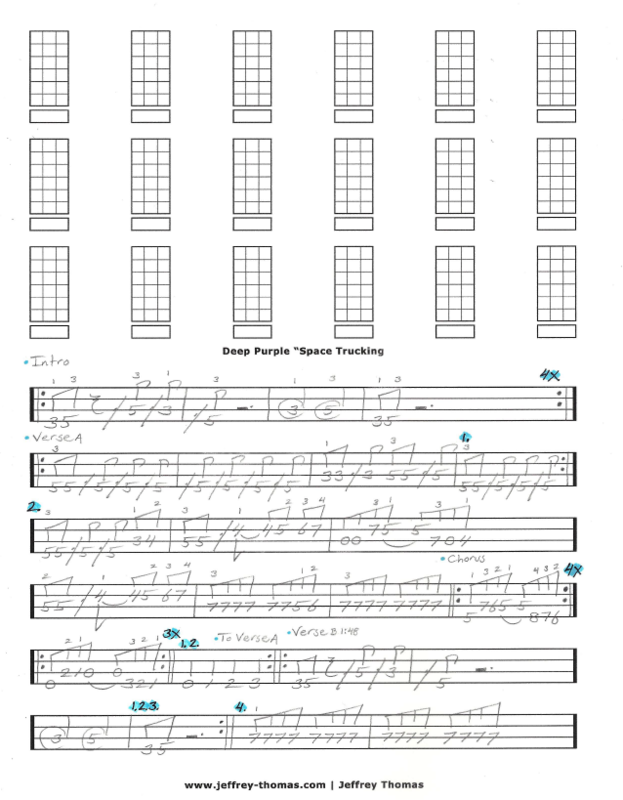 Deep Purple Space Trucking Free Bass Tab by Jeffrey Thomas. Learn to play the total song structure with all the cool signature bass lines from the recording. This is a very popular tune with my rock bass students. Want the full bass tab for free? Just send in your email address using the form provided. Looking for online rock bass lessons? Fill out the Schedule A Free Lesson form to set up your free Skype bass lesson today. Enjoy the free bass tab for page one or purchase the full song and get a free Skype bass lesson with Jeff. More free bass tabs on my tab, video and blog pages.